Peo Pettersson and Dan Boström met and became friends in the mid to late eighties, playing in different bands respectively. A few years later Peo recorded with LEVITICUS and toured the world as their lead singer, while Dan played in local rock and AOR bands, mostly in clubs and churches. They continued during the 90’s to play in different bands and constellations. In the early 90’s, Dan was invited to Peo for a preview of his highly acclaimed solo debut, “Look what I’ve started” (co-written with Rod West, Australia), and they both shared demos of music ideas. But it wasn’t until the turn of the Millenia that the two friends decided to start writing music together. From the early 2000’s to the present day, both guys have also worked on their own projects. Peo has continued to produce other artists, release several solo albums and record with LIMITED EDITION and NOCTURNE ALLIANCE. Dan has explored the world of progressive metal, jazz and fusion with local fellow musicians and been writing music for his project BEYOND KNOWN. Living a ninety minutes drive apart and working just a few weekends a year, KINGS & DREAMS began as more of a side project than a band. But soon Peo and Dan found that their collaboration and songwriting was something beyond a friendly jam. At the time Peo recorded everything on tape (something he would late return to after a decade in the digital jungle). Peo and Dan have written, mixed and produced the whole album. 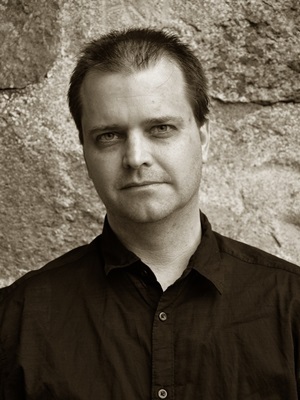 Most of the material was recorded at Peo’s studio in Götene in the western countryside, and occasionally in Dan’s studio in Jönköping. Trying to migrate into the world of digital recording, Dan and Peo built their songs initially on guitars, keyboards, samplings and programmed drums. But after a few years they decided to throw it away and start afresh with real musicians. In came drummers Peter Björklund (Jazz drummer / Independent), Petter Karlsson (THERION, HOLOCOASTER) and Bengan Andersson (Johan Randen, MACHINE, NIVA, PEO, Lena PH), and excellent bassists Björn Millton (SALT) and Simon Dahlström (LAVA ENGINE, BEYOND KNOWN). With a new solid base to their songs, Peo and Dan re-arranged and re-recorded what had now become a full length album. Although both had their roots in blues and hard rock, they’ve also found inspiration in classical, jazz, pop, soul, fusion. Never compromising on melody, KINGS & DREAMS will continue to follow in the footsteps of JOURNEY, TOTO, ABBA, MR. MISTER, but a bit more hard rock oriented. In 2011 KINGS & DREAMS released a teaser, a promotion single with two songs from the upcoming album; the smooth and soulful “It’s Been So Long” and the more mysterious and dreamy rock shuffle “How Can I Go On”. Fellow musicians and producers gave praise and labelled it “World class” and eagerly awaited more. And finally, thirteen years after the initial jam session, KINGS & DREAMS debut album was released. 11 strong songs ranging from pop, soul to hard rock. Peo, “One of AOR’s Best Voices” (Amazon.com review), does most of the lead vocals, with Dan singing the lead on “In Your Arms”, “Mayday” and “Save My Soul”. The lyrics are thoughtful, honest and deal with relations to life, people and places and are meant to raise hope and faith in the listener. What maybe makes KINGS & DREAMS special, aside from good songwriting, great vocals, great guitar playing and strong melodies, is the “good spiritual and positive vibe about them” (according to a CD BABY review). This marks the start of KINGS & DREAMS journey. KINGS & DREAMS is no more a side project… In the future, Peo and Dan will continue to release albums and also work with other artists when and if there’s time. S-ROCK: First of all would you introduce yourself as this is the 1st time for us to have an interview with you. 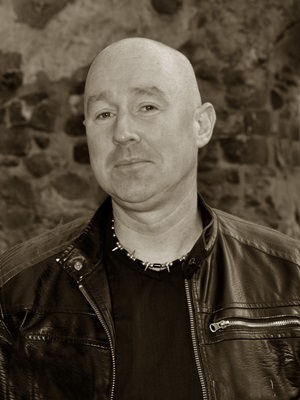 Peo: I started playing with various local bands 1978. At this time, I played most hard rock with classical symphonic influences. 1980 I started my own studio, where I started recording and producing my own music as well as other Swedish artists and bands. 1983 my band X-Ray was opening act for Joan Jett & THE BLACK HEARTS. As Joan just had her hit (I Love Rock’N Roll) we had full houses all around. This period I gained good experience and learned a lot about tour life and to meet a large audience. Between 1980 and 1990, I recorded and produced over a hundred albums. It was different genres, everything between punk rock and top list music. 1988 I was offered to be the lead singer in the band LEVITICUS that I had previously recorded and produced. It was three long US tours and two Soviet tours, also Australia and throughout Europe. We toured almost 15 countries for over 4 years. The same year LEVITICUS released the album Knights of Heaven. 1990 I decided to do my first solo album. I then worked with Rod West, songwriter and producer from Australia. I met Rod on tour in Australia 1988. We became good friends and decided to write music together. A few years later I released my first solo album (LOOK WHAT I’VE STARTED). I received many good reviews around the world, for example BURRN! in Japan. The album sold well and I continued to work with Rod. We kept writing songs together and also had releases with other artists. 1994 I got a contract as a songwriter at UNIVERSAL MUSIC. For 6 years I worked full time on writing music. At this time, I wrote and produced about 50 songs per year. It was a hard pace! Alongside song writing I also studied at the ACADEMY OF MUSIC in Stockholm for 2 years. 1995, I wrote my first hit which was number one on the charts in Sweden recorded by a Swedish dance band. 1998, I had another number one hit with the group JOYRIDE. In 2000 I was completely tired of writing music and took a break. I concentrated on my own music again and released the same year the album THE MAN BEHIND THE FACE. MY ACOUSTIC WORKS 1 (2007), BETTER NOT FORGET (2009), CLIMBING TO THE SUN (2010), OVER AND OVER AGAIN (2011), THE HARDEST ROCK (2011), FIREPLACE (2013). During the 2000’s also began my collaboration with Dan Boström in what was to become KINGS & DREAMS. We decided to make an uncompromising album that had to take its own time without a deadline. I have by now produced and recorded about 250 albums with various artists and bands. Although I have had some success and luck in my career I also know that it is just hard work that makes you succeed. It is also true that I have sacrificed much else in my life to get to my goal. Dan: I started to play the guitar at the age of 12, inspired by my uncle Janne who played Al Di Meola, Paco de Lucia and Bach for me. I started a local rock band at 13 with borrowed instruments. My parents bought me a Les Paul copy and a PA system. We played at local venues and recorded a song in the studio of a scout leader. My guitar hero were Eddie van Halen at that time. A friend of mine in high school, guitar virtuoso Roger Ljunggren (NIVA, GRAND ILLUSION, T’BELL), introduced me to many good musicians and groups and I got particularly hooked on Journey. I later joined a gospel group and got to learn a wider spectrum of music. This is also when I got introduced to Westcoast/AOR music. We played in the local cafes and churches, but also toured Poland in -91. In the late 80’s I also played in a few symphonic/progressive rock groups, playing and writing songs with odd time signatures. I participated on a few recordings with backing vocals and guitar, but nothing big. At this time there were several rock bands in the area, and I met Peo through mutual friends. I got married in 1990 to the love of my life and we have two daughters, both aestetic and musically gifted. In the 90’s I worked as a pastor and continued to write music and worship songs. I played in mostly small venues and also started to tutor guitar students privately. I joined the band HEARTCRY in 1998. We made some gigs and almost finished an album a year later, but laid the band to rest when the founder had to move with his family. At this time I and Peo reunited and became very good friends. The friendship and collaboration with Peo has meant a lot to me. 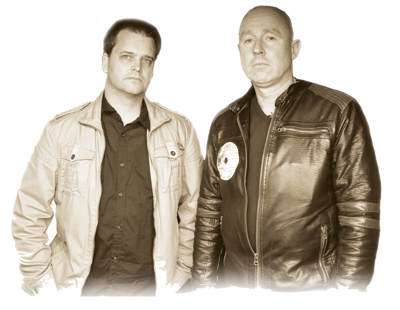 We’ve worked together musically for almost fifteen years now in KINGS & DREAMS and with other bands and artists. I think we have a special bond, both spiritually and musically. About half of the time we’re solving philosophical problems or technical issues. So no rush there. The music takes its time. During the 2000’s I’ve also experimented with writing different kinds of music in a fellowship project called ´BEYOND KNOWN´. I’ve played on a worship album in England, produced a couple of records and also played on other side projects. I’ve continued to give guitar lessons. Lately I have written acoustic guitar pieces for meditation and hope to release some of those next year. S-ROCK: Would you let us know each track from the 1st album “KINGS & DREAMS”, which song(s) do you like? What do you want people to pay attention carefully when they listen to the album? Peo: I have always loved the sound from the Hammond organ and in this song you can clearly hear my desire for this amazing instrument. Together with Dan’s brilliant guitar playing this will be a nice mix! Dan: This song is about following your heart wherever it leads you and regardless of what people around you may think. A great uptempo song! Peo: Even if the song is good overall I like the verse very much! Fine atmosphere and great lead vocals! Dan: A very poetic song about the sacred love between a man and a woman. Originally written on acoustic guitar, we spiced it up with another great Hammond solo from Peo and guitar melodies in the chorus and outro. Peo: One of the first songs we wrote together. The guitar solo is short but stunning! Dan: What we take to be “moments of grace” in our lives can actually turn out to be our selfish hunt for fame and ruin our inner life. I like this song, since it paved the way for later compositions. Great bass playing by Björn Millton. Peo: This song is special to us. It represents all those influences we have received over the years. You can hear the pop, rock but also a whiff of soul and jazz. Dan: About a man returning to his small town after many years and rediscovering his roots. This laid back song was recorded using a loop, a door frame, a plastic juice bottle and Peo’s knees for percussion (!) and a sampled chord from a symphonic orchestra at the end. Mixed with beauty by Peo. A radio hit? Peo: Typical AOR inspired from the 80’s. Dan: I like the mix of hardrock guitars in a AOR/westcoast song, and the modulation of chords in the chorus. Peo also forced me to do dual harmonies in the solo. Dan: Also one of our first songs, showcasing the width in Peo’s great singing. 48 voices of backing vocals to do the subtle Oooh’s during the solo. Peo: Dan is the powerful engine of this song. Dan: From our heavy artillery, a flirt with the hard rock and metal we played years ago. Great drumming by Petter Karlsson. Peo: Strong chorus. Emotions, passion, love. Dan: The rock ballad of the album. This was the very first song we wrote together, feeling each other out in this gentle and passionate song. Peo: A song about a beautiful wife and one happy man! The song is good too! Dan: I love to play these powerful riffs! The chorus is about being proud of your loved one. Peo: The story of two buddies struggling through all of life’s circumstances; joy, pain, successes, setbacks. Peo: This song is my favorite on the album. Mysterious intro, bluesy vocals. And heavy chorus. Dan: This is also my favorite. A 6/8 shuffle. Atmosphere, arpeggiated keyboard, sliced delays to create a pulsating vibe. A great car driving song. And Björn Millton’s bass playing is world class. S-ROCK: How do you have an idea to compose and to write lyrics? Music first or lyrics first? Peo: Most often the music first and then the lyrics. But there are also exceptions. Dan: Yes, especially when you’re jamming with other musicians. But I also like to write lyrics first and let that rhythm guide the music. S-ROCK: You guys have played at Husaren, Skövde a couple of times, what is the strongest point of your gig to see? These guys are experienced musicians and we rehearsed only one day before the gig! Dan: Yes, these guys are consummate professionals and very easy to work with. I think that the songs “Down The Road”and “Save My Soul” rocked the audience most. S-ROCK: Peo, you joined LETIVICUS late 80’s and recorded “KNIGHTS OF HEAVEN”. THE BEST OF LEVITICUS was released in Japan from ZERO CORPORATION as well. Do you mind talking about the band? Peo: I recorded and produced several albums of Leviticus. In the late 80’s, I became the lead singer and keyboard player. We toured all over the world and had great success for many years. 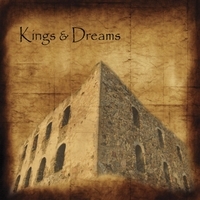 S-ROCK: Dan, you did the artwork for this KINGS & DREAMS album, what does this building (the castle?) symbolize? Dan: This castle was built by a Count to his wife as a summer retreat house. It symbolizes a refuge, a place not only for kings but also for us ordinary people in need for a rest and to reignite our dreams. And that is one of the goals we have: to spread comfort, faith, hope and energy for those around us. Peo: I recently got married and bought a house in the Philippines. I now plan to build a studio there and will move away from Sweden in a few years. The reason for this is the cold climate in Sweden and my desire for sun and heat. The music will always be with me and if I can be healthy and creative I hope that I’ll get to do many more albums. Dan: My goal as a musician and as a person is the same: to point people to another dimension in life where there’s joy, fellowship, trust and love. To do this more I hope that we can sell albums and earn our living so that we can continue to support and bless fans and fellow musicians in the future. Peo: DEEP PURPLE, WHITESNAKE, JOURNEY, BOSTON, KANSAS, SUPERTRAMP, AIR SUPPLY. Dan: Bach, JOURNEY, Allan Holdsworth, Richard Page, Stephen Simmonds, TOTO, Glenn Hughes, ABBA. Peo: A country where people love music and still have the glow and passion for the ideals and artists. And that also buys CDs which allows the artist to continue record and produce music. Peo: Thanks to all of you who listen to our music. Keep eyes and ears open for our next album! Dan: Yes, thanks for encouraging us to write music with quality and putting in hard work to satisfy you melodic rock loving fans!